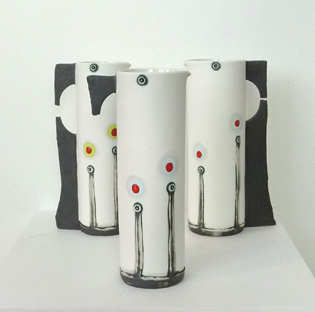 We have had a delivery of wonderful new work by Frances Spice here in the gallery. Watch out for more in the online shop very soon. Why not subscribe to our updates to make sure, you don’t miss it. Frances’ work is always different and very imaginative. Her work is very well designed with subtle details. I really love these art jugs in the image above. 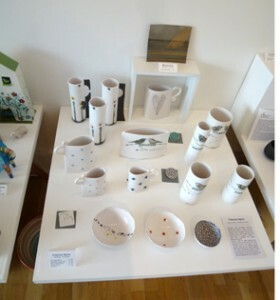 This entry was posted in New Work, News Overview and tagged ceramics, frances spice, vase on July 30, 2013 by 45 Southside.